Perfectly located amidst the bustle of Tsimshatsui area, with colourful tourist attractions and fabulous night entertainment right at the doorsteps. Transport convenience with only one minute stroll to Tsimshatsui MTR Station linking most parts of Kowloon with Hong Kong Island, and short walking distance to Star Ferry, Cultural Centre and Space Museum. 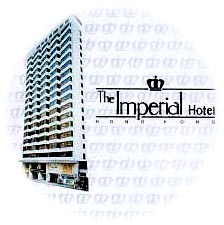 It's the Imperial Hotel you would't escape!